Oh my. That was my first thought when I saw this tart online. Oh. My. I had to have it. I don't even like peanut butter as much as one of my friends does (she knows who she is) but it just looked far too delectable not to try. Side Note: What is up with this crazy weather?! I'm pretty sure we killed off half our bug population in dear Saint Louis. About a week ago, it was gorgeous, about 75 degrees, I went for a long walk... trees were leafy, flowers were in full bloom and even the bees and bugs were out! Fast forward two days and it snows FOUR inches. Not one, not two, not three. That's insane! As much as I despise bugs, don't we kinda need the bees? Sigh. Now the weather is a funny kind of cold/windy with a constant snow warning hanging over our heads. I don't mind this as much since it's almost like fall, and picturing the disgusting heat and sweat of the summer ahead makes me appreciate this coolness even more. Regardless, climate change is scary. 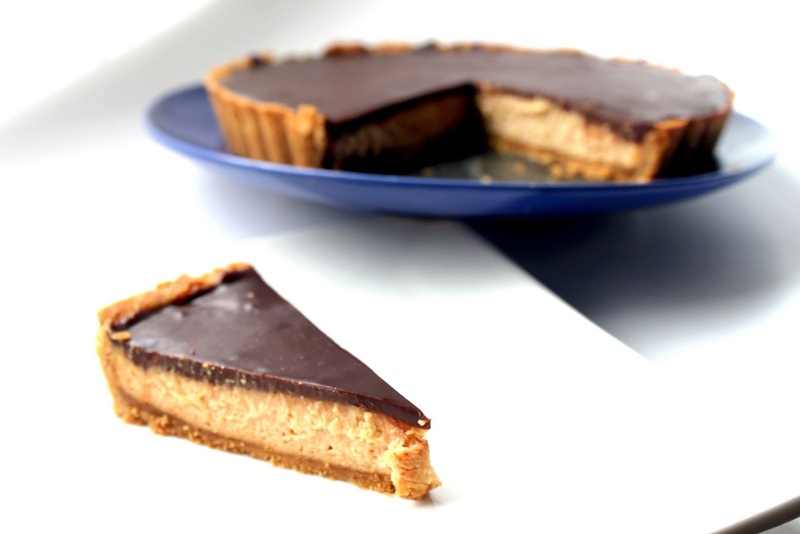 Think of the perfect flakiest peanut butter cookie crust (I used some of the leftovers from the tart crust to make cookies and they melt in your mouth, I kid you not), with a fluffy peanut butter mousse layer, and then topped with a half milk half dark chocolate ganache. Heaven. I thought it looked too fancy to make and thus didn't for quite a while. But now that I've actually done it, it's really quite easy. Yes, there are 3 components but none require very much time at all. It's mostly just refrigerating. Word of warning though, this is definitely for the true chocolate and peanut butter lover. It's not for the faint of heart, and a small slice goes a long way. It's quite rich! I reproduced this tart exactly from the original recipe because it sounded too good to make any changes. However, if I had to make it again, which I'm sure I will, I would lighten up the peanut butter mousse a little more, perhaps by reducing the cream cheese in the filling. 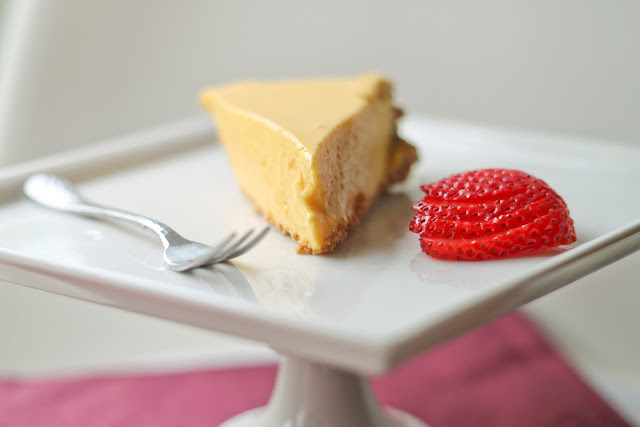 Regardless, a slice of this tart always leaves me wanting more! Beat the sugars with the butter and add in all the other ingredients till well combined. Refrigerate for at least an hour. Press the dough into the tart pan, you should have some scraps leftover to make cookies! Bake the tart for 10-12 minutes or till golden. It will puff up but when you take it out, you can use the bottom of a glass to press down the cookie into the tart. Beat the heavy whipping cream to soft peaks. Separately, beat all the other ingredients in another bowl till combined. Fold in the heavy whipped cream. Spread it into the tart and smooth the surface. Melt all of these together in a double boiler over the stove, and stir until combined. Be careful not to burn the chocolate! Transfer to a bowl and let cool. Then pour it over the tart! I preferred the tart at room temperature but Joe preferred it chilled. Either way, it's delicious. I normally would think this is too complicated to make but I recently made a chocolate ganche tarte with a hazelnut crust and chocolate glaze and the procedure is pretty similar. So I feel like I can do this. I love the PB and choc combo, especially because we don't get Reeses here in Italy. Just saw your post on Honest Cooking and on behalf of the food bloggers here, would like to welcome you to St. Louis! I'll add your blog to www.stlfoodblogs.com but please do drop me a line so that I can add your address to our mailing list. (ak AT AT kitchen hyphen hyphen parade dot DOT you know com). I think I am also having that "Oh my" reaction!